Alanda November 17, 2017 19 Comments This post may contain affiliate links. 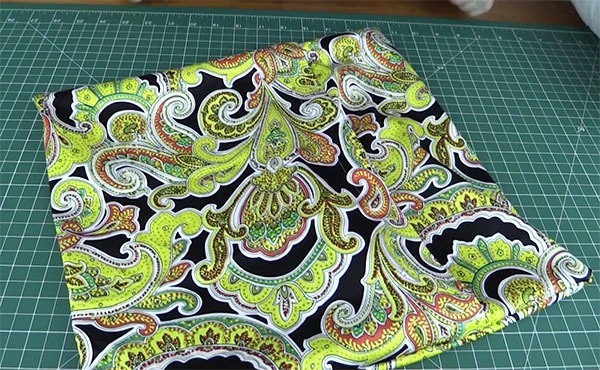 This is the easiest cushion cover you will ever make, trust me. I ran these three up in no time at all. I have tested this formula with cushion inserts measuring 14″,16″ and 26″ and this formula should work equally well for other sized inserts. 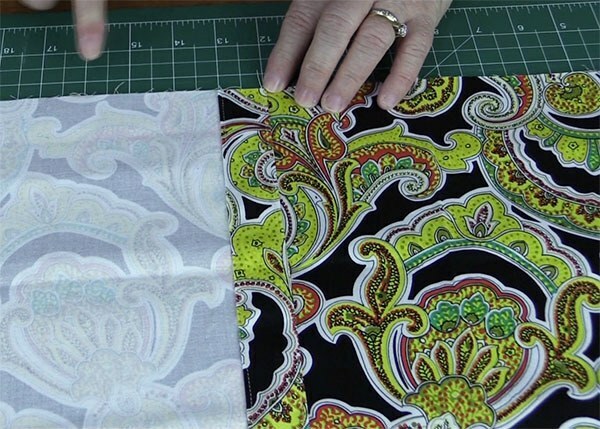 For the width of the fabric you need the size of the cushion insert plus ½”. 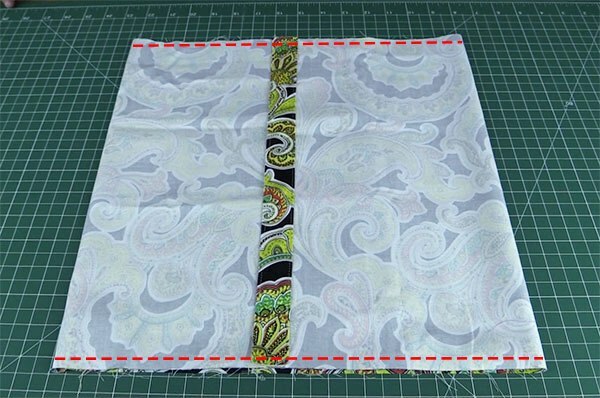 For the length of the fabric you need (the size of the cushion insert x2) + 8″. 12" 12" + 1/2" = 12 1/2" (size of cushion x 2) + 8" = 32"
14" 14" + 1/2" = 14 1/2" (size of cushion x 2) + 8" = 36"
16" 16" + 1/2" = 16 1/2" (size of cushion x 2) + 8" = 40"
18" 18" + 1/2" = 18 1/2" (size of cushion x 2) + 8 = 44"
20" 20" + 1/2" = 20 1/2" (size of cushion x 2) + 8" = 48"
26" 26" + 1/2" = 26 1/2" (size of cushion x 2) + 8" = 60"
Lay the fabric down and draw a ¼” line from the edge of each of the short edges. Use a Frixion pen or water erasable pen. (DO NOT USE a BallPoint Pen). You can eyeball the ¼” if you wish, I personally prefer to draw a line so I know it’s straight. Add a 1″ line from the ¼” line. 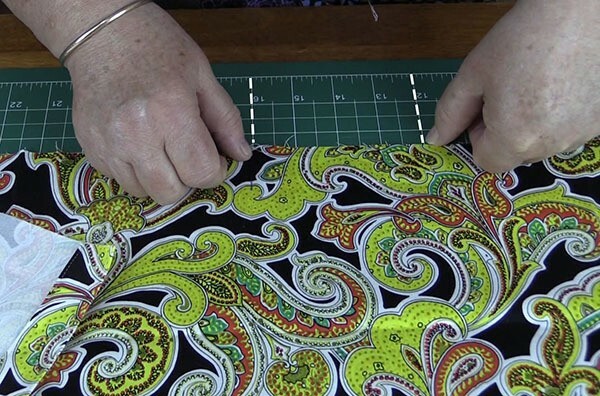 Fold the fabric along the ¼” line that you have drawn and press. 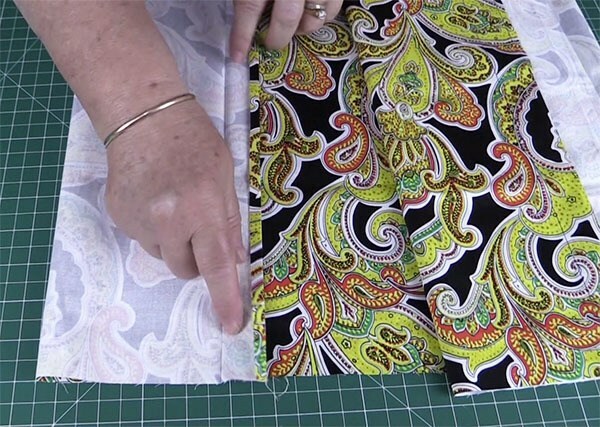 Then fold over the 1″ line and press. 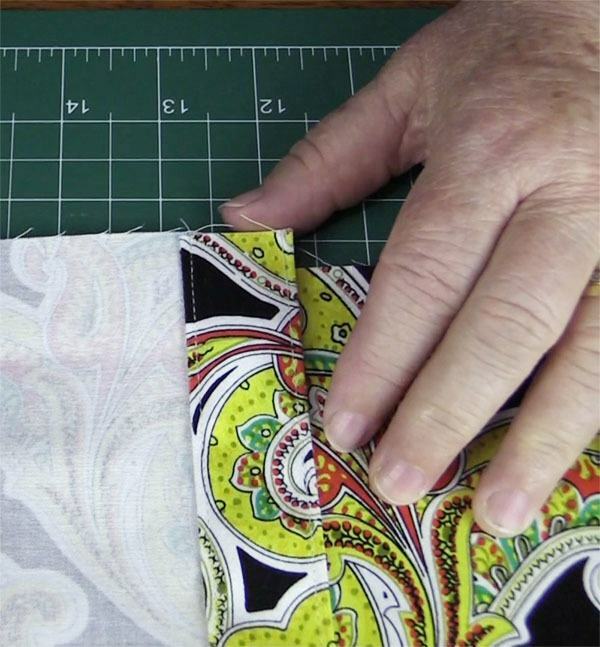 Sew about and 1/8th of an inch along the top edge and also along the edge of the 1″ fold. Fold the material in half. 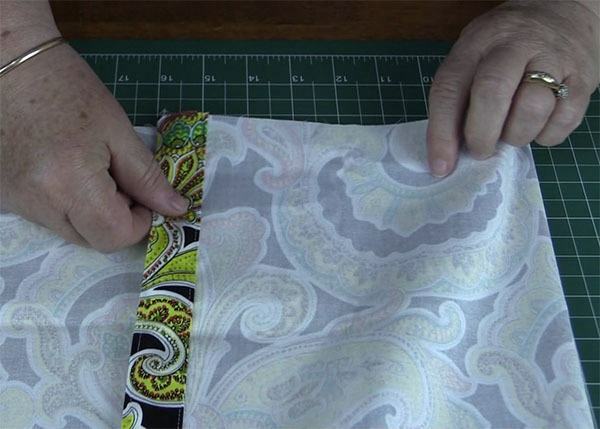 Finger press or give the folded material a quick press just to give you a centre line crease to work with. The fabric should be facing right side up. Lay the centre crease line along a line on your mat, any line will do. I used the 16″ mark. 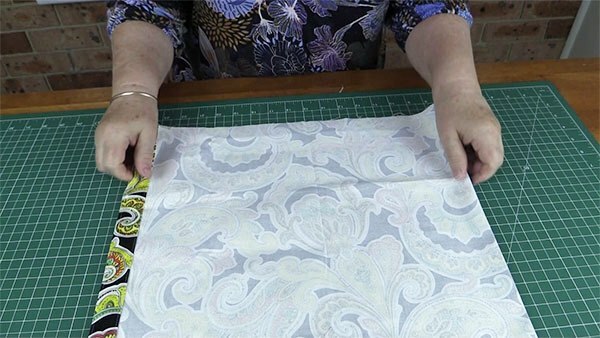 Bring up one of the ends and lay it, right side facing down, so that the folded edge overlaps the creased centre line by 4″. 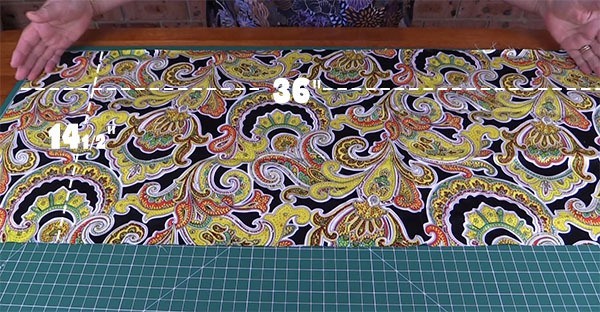 Since mine is lined up on the 16″ mark, I will bring my fabric edge over to the 12″ mark. 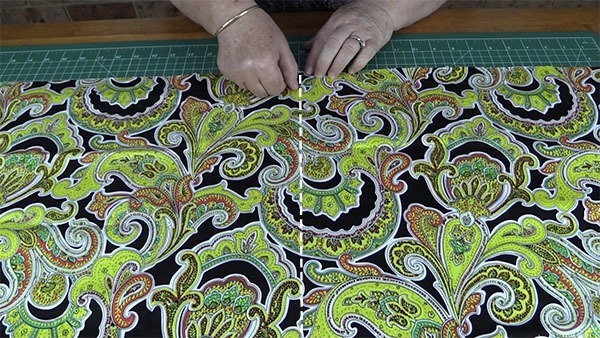 Bring up the other end and lay it so that it overlaps the other end and the middle line by 4″ . Watch the video below if this part seems a little confusing. 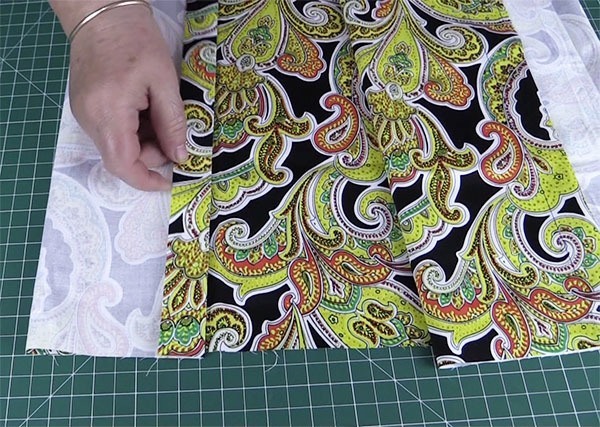 Sew both sides together with a ¼” seam. Back stitch at the beginning and the end of each row. You are now ready to turn the cushion cover through. Just insert your 14″ cushion and you are done. See I told you it was the easiest cushion cover you were ever going to make. Sorry for not getting back sooner Carol. I had hoped to work these out for you but I just haven’t had the time. We have been really busy with getting everything ready for Black Friday and our upcoming Christmas projects. It will go on my to do list. Thank you I’m interested in the measurements for larger inserts as well ? Thank you for this and the video. Like Carol, I was wondering how to figure out for other sizes. This time of year is so busy for everyone so whenever you get to it. Thank you for adding it to your list. Hugs and have a great Christmas time as well as a safe one. Thank you Wanda. You are amazing! Everything you demonstrate is so easy to understand. Like the other ladies I can’t wait for more sizes to become available. I love big cushions and my inserts are 18″ waiting to be transformed into something beautiful. 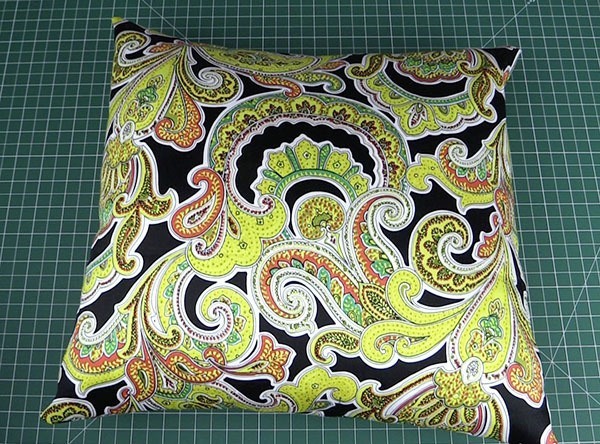 Hi I am trying to make one of your cushion covers that I have a rectangular cushion which is at 12.5 inches times 20.5 inches and just went wondered if you could give me a heads up How I would do this? I’ve just watch your YouTube and your calming voice seems to be talking quite a lot of sense. I am trying to use a piece of fabric from some cuts off curtains with us I’m using a rectangular cushion as opposed to a normal Square which for me would be easier for me hopefully you’ll get this msg. Sorry for not getting back sooner Lisa. I had to work this out as I haven’t made a rectangle cushion cover as yet. It’s on the list to do. I looked at the measurements we had used for the square cushion as a base and did some calculations from that. Length- The cushion length would be 49″. The size of your cushion insert of 20.5″ x 2 = 41″ plus 8″ for overlap. Width – 12.5″ plus 1/2″ = 13″. 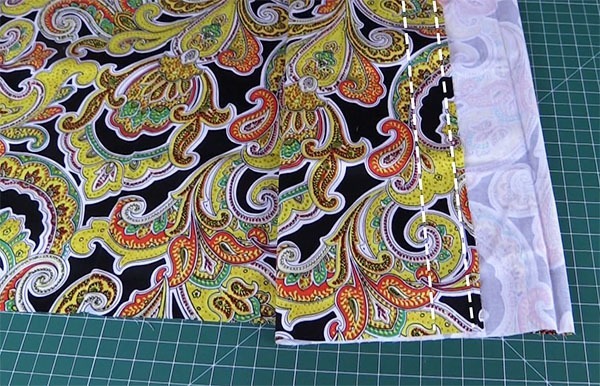 This allows for 1/4″ seams. Please note – These are just calculations I have worked out, I haven’t tried it. So maybe cut it out on paper first to see if it fits.